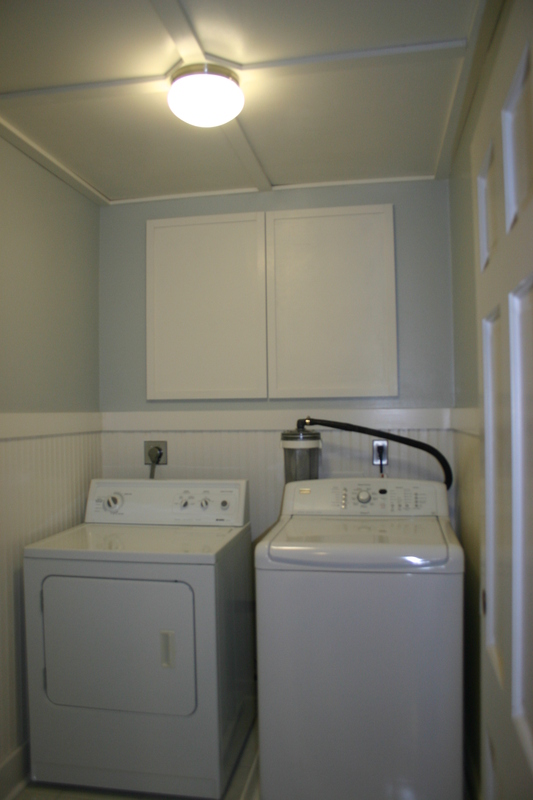 The Master Bath Revisited: Cabinet Doors! 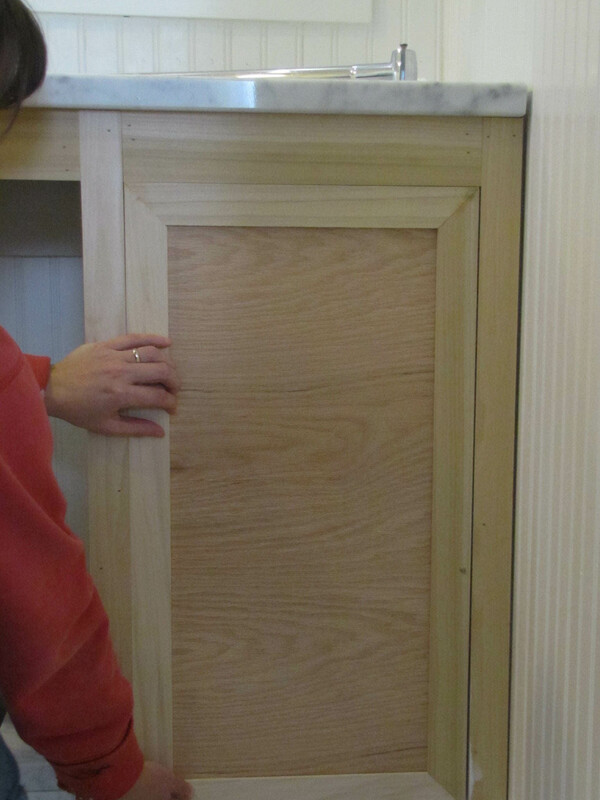 About a month ago, I set a goal to have the cabinet doors finished in the master bathroom, by January 1, 2012. That leaves me a matter of hours to get ’em done. My way of making these doors is probably unconventional, but it works. I just hope they stand the test of time. I started by measuring the opening. 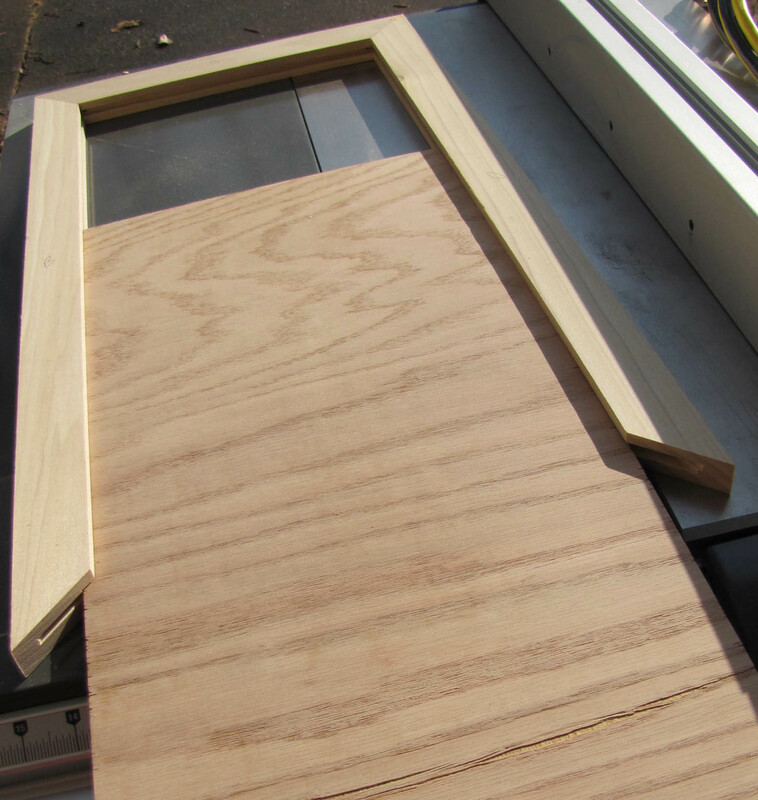 Since these are inset doors, I want the doors to be about 1/8″ shorter than the opening–that’s 1/16″ on all sides. Done. After donning the appropriate safety gear (eyes/ears/lung protection), I decided to mitre cut the rails and stiles at a 45 degree angle, instead of 90 degrees, which is what most people do. 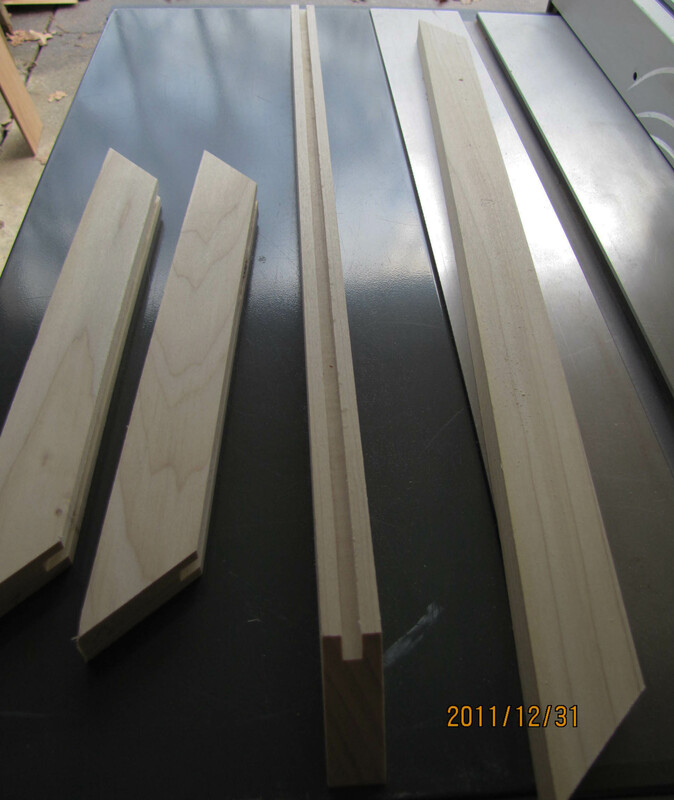 (Note, I did not mitre cut these on the table saw, which is how it appears in the photo below. This was just the best place to take the picture). 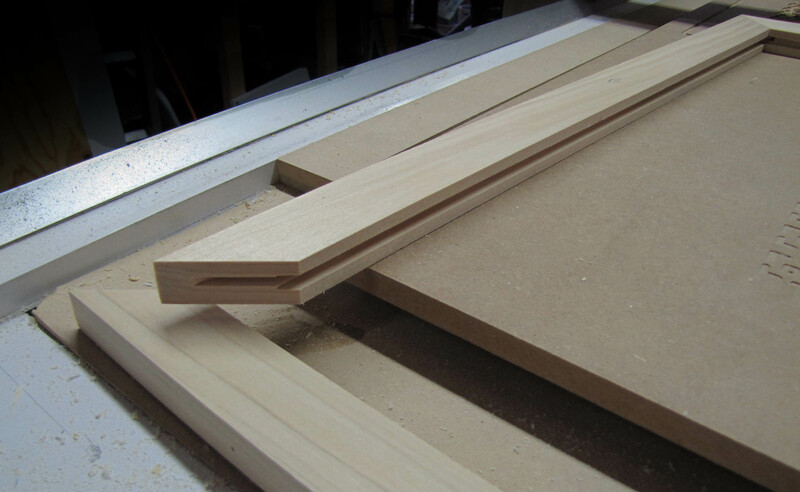 Once I cut all of the rails and stiles to length, it was over to the router table to cut a 1/4″ groove to hold the panel. Be sure to mark which sides of the rails and stiles will be facing front once assembled. Do this before you router, or you will back at step one. 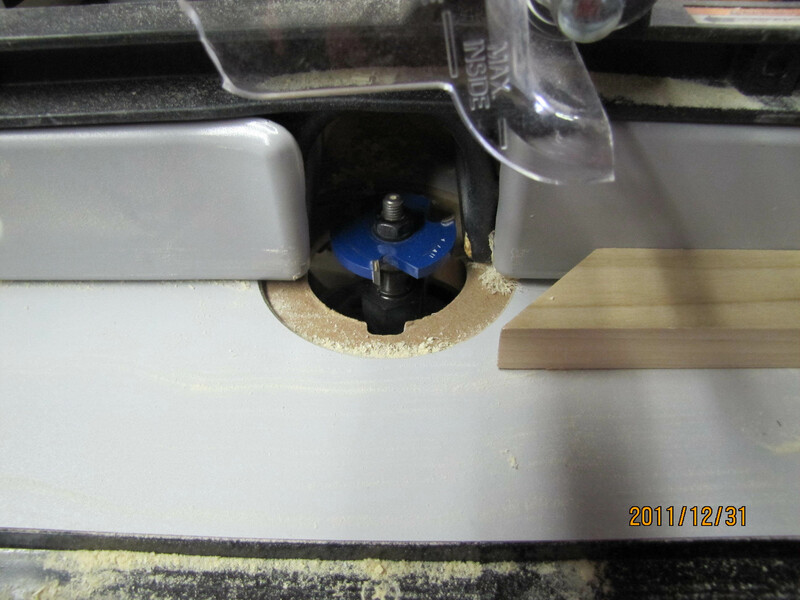 I cut the groove with a 1/4″ tongue & groove router bit. A standard 1/4″ router bit, would have worked fine, but I don’t have one. 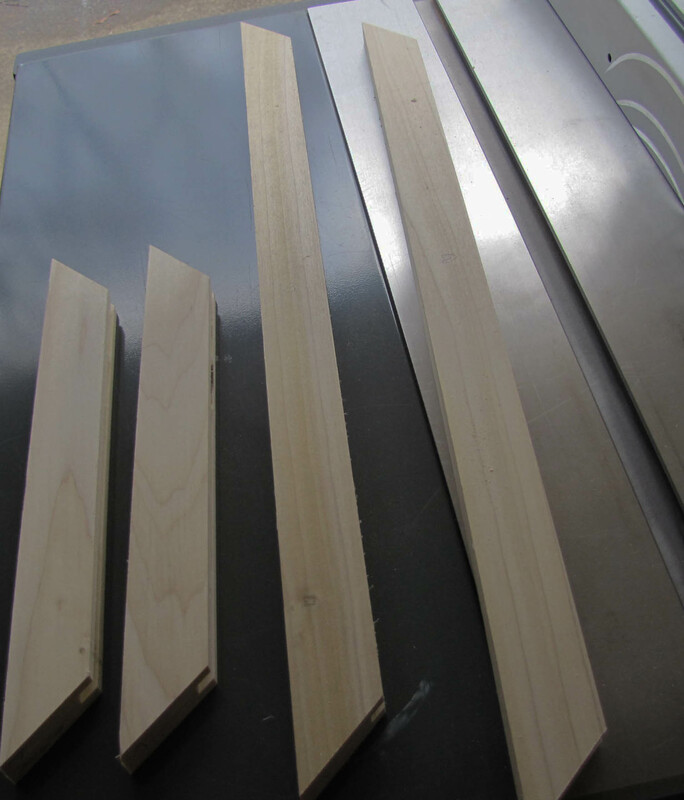 I had to do some test cuts to make sure I had the bit at the correct height. I hate using a router table. 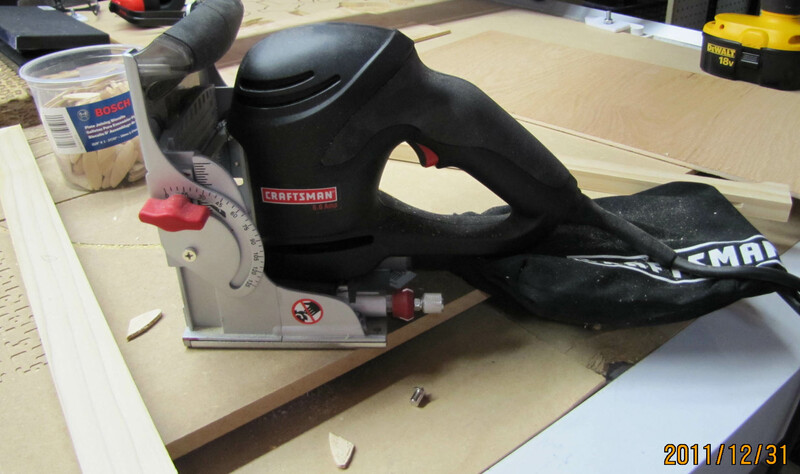 They are so dangerous and are to be used with extreme caution–as should all power tools, but I really dislike a router table. Please read up on all safety guidelines before operating one. Once I was finished with the router table, it was time to assemble. Time to break out the biscuit cutter and make the grooves for the biscuits. Again, pay attention to which side of the frame is facing up (or down), just make sure it is consistent before you start cutting. I love my biscuit cutter! 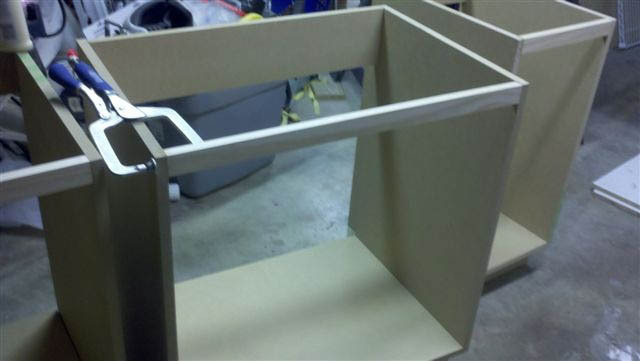 After dry fitting the frame, I assembled the top and sides with biscuits and wood glue. I had to cut the biscuits in half so they would not interfere with the slot that holds the panel. Once I had the panel cut to size, I could slide it in and put the last piece in place. 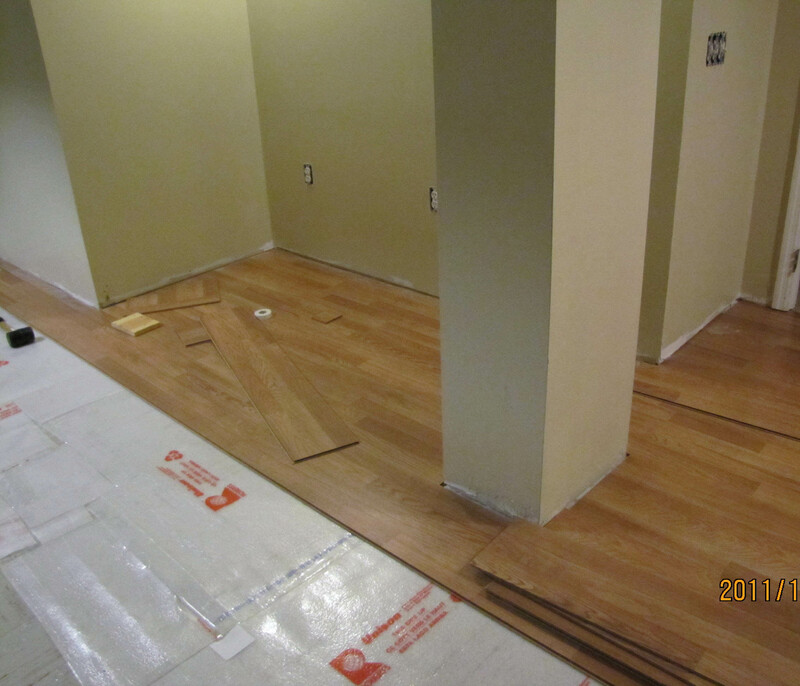 (Any wood imperfections will be smoothed out with wood putty and then sanded). It fits –as if I planned it that way! I still have to prime and paint which can cause problems when fitting an inset door. If the door is too large, you can always sand it down. One down, three to go! So, as we start off 2012 with another project, I would like to wish my readers (Mom and Dad), a happy and productive new year! 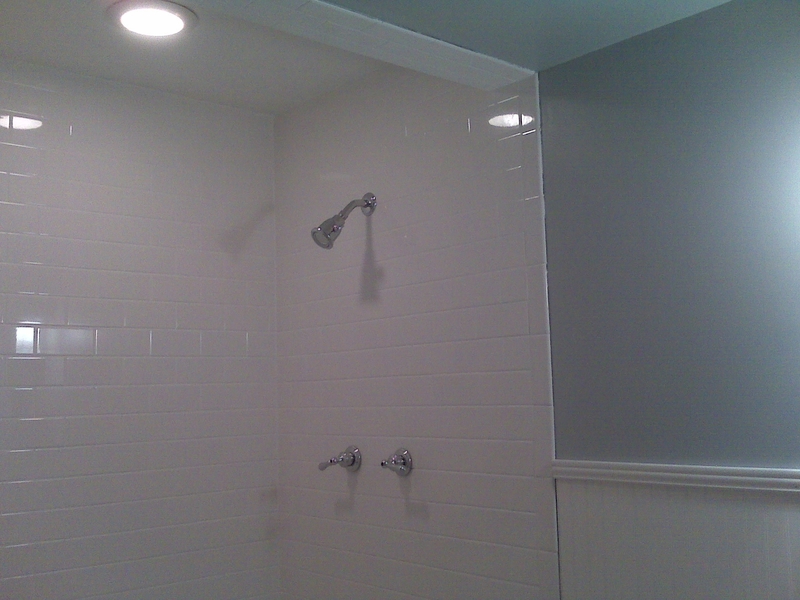 Our house is sorely lacking in closet space and the master bath is no exception. There is no linen closet and not really a place to put one without compromising space in our, already small, bedroom. 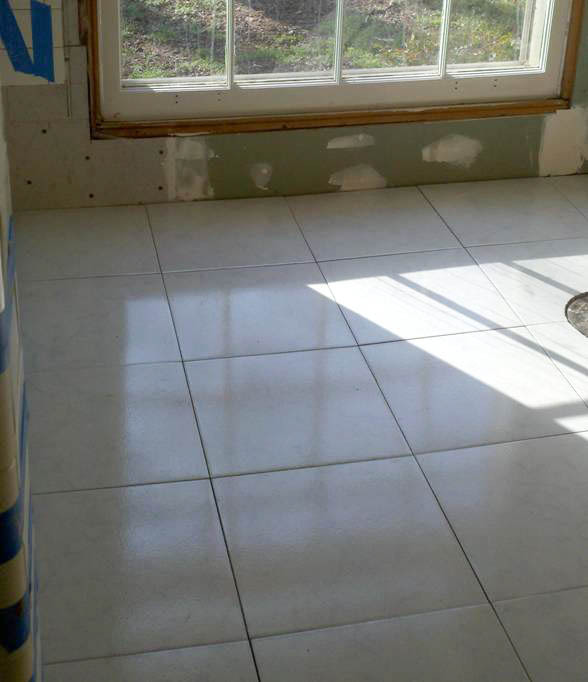 The walls, however, were about eight inches deep–perfect for built-in cabinets. I didn’t know quite how to go about designing the cabinets over the sink. 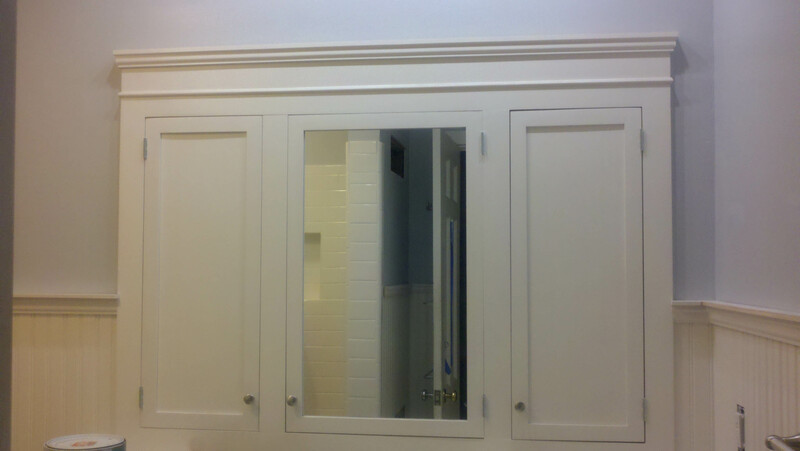 It was originally just a huge contractor mirror, and a single medicine cabinet would have looked…odd. 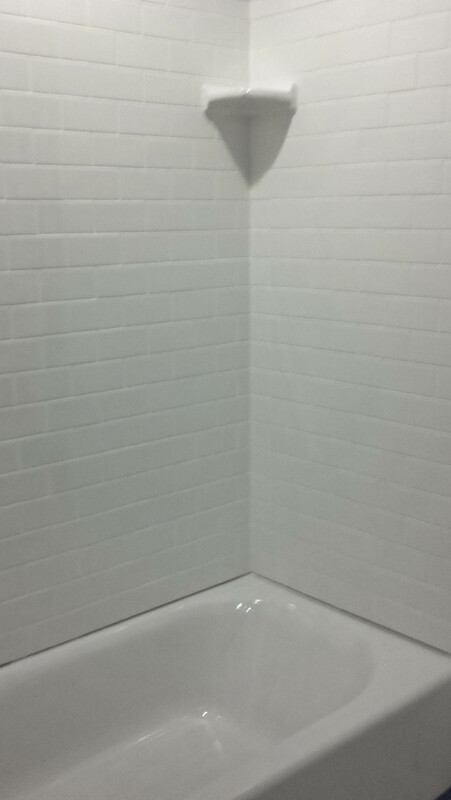 We also wanted a cabinet above the toilet to allow for extra storage. We first had to decide the size of our cabinets. 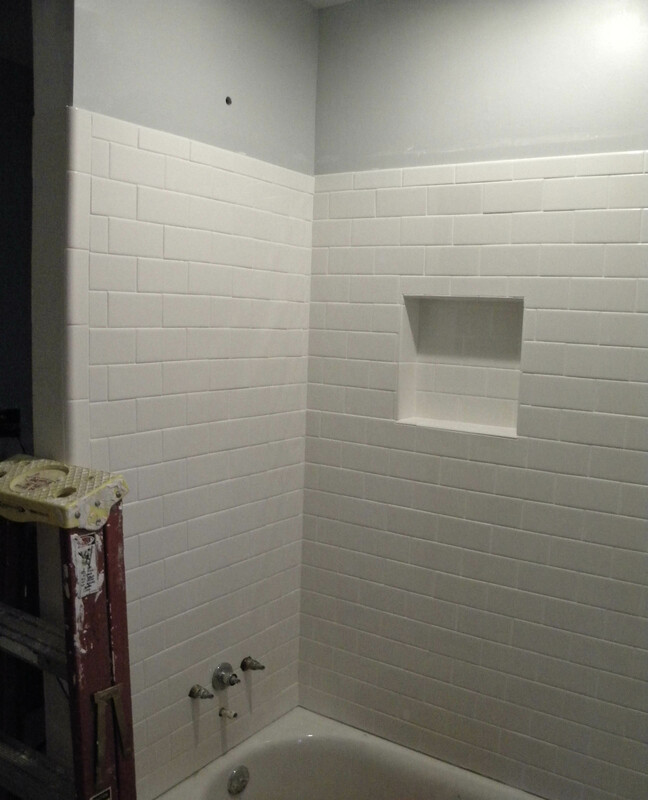 We did this based on stud location and existing pipes. Norm framed out the large cabinet on the right. 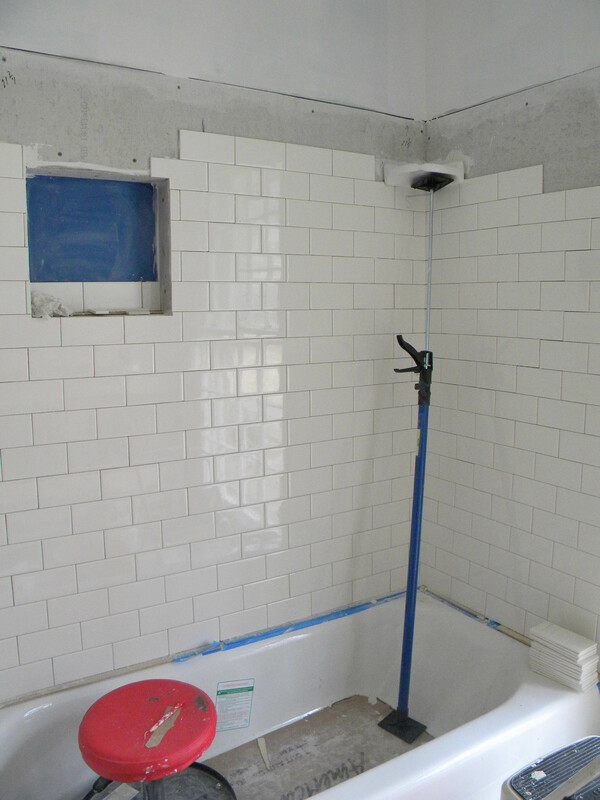 That “box” is a surround for a pipe. That smaller cabinet to the far left, was the much simpler one that I built. It was my first attempt at a built-in. 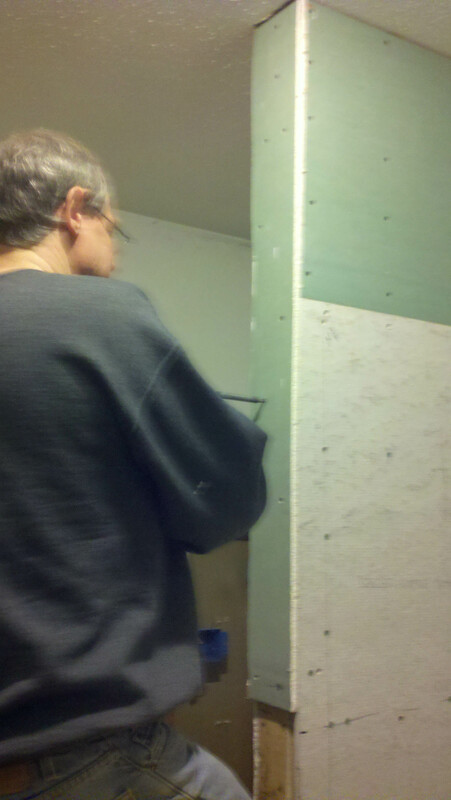 Once we made sure they fit and were square, we took them back out and hung the bead board. 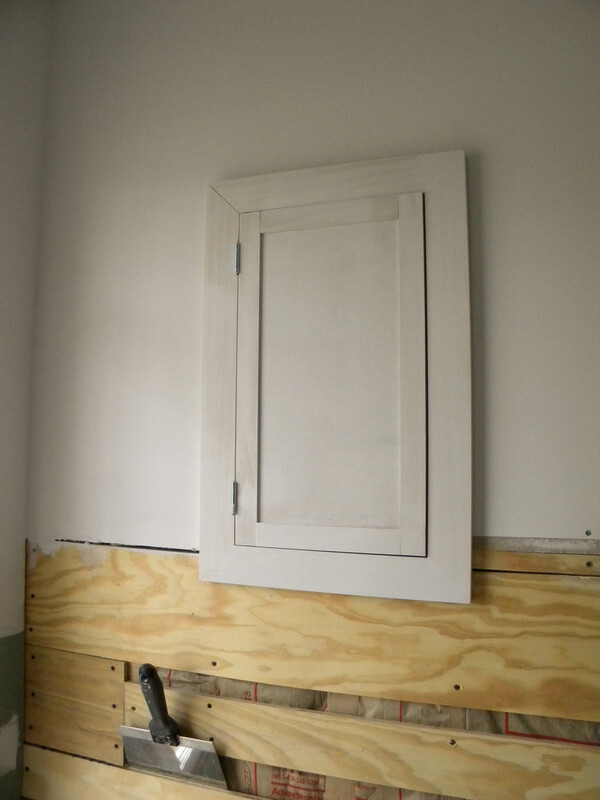 Then we could semi-permanently install the cabinets. 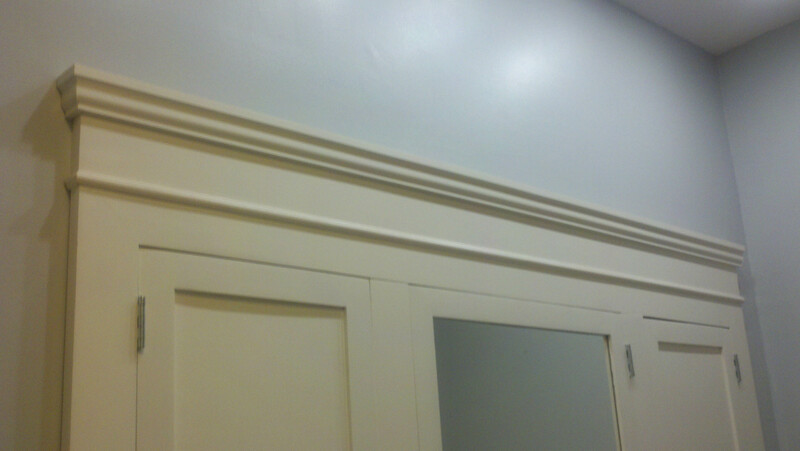 I say “semi” because we had to make some adjustments to the inset doors, which were a major pain to install! 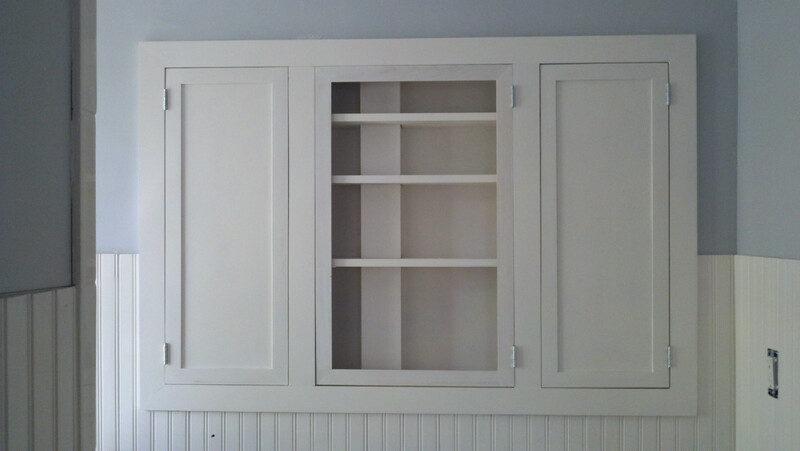 For example, the cabinet doors fit perfectly before we installed them. It was quite a different story once they were installed. Those doors took me an entire day. While we were building the cabinets, this finally arrived! 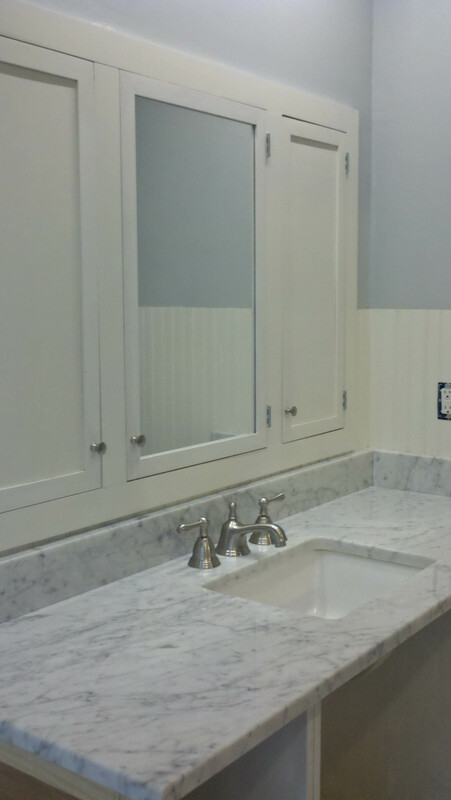 Our beautiful Carrera marble counter top. 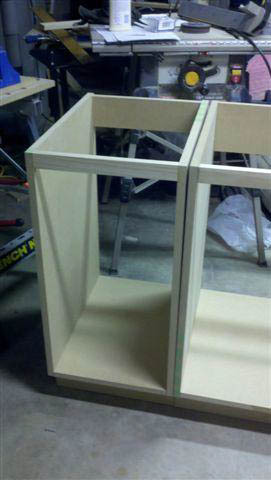 Now we needed something to set it on, so it was time to get to work on the base cabinets. There are many tutorials on cabinet building so I won’t go into details. I also did not document it well enough to provide step-by-step commentary. I built the base cabinets in three sections so it would be easy to transport upstairs. 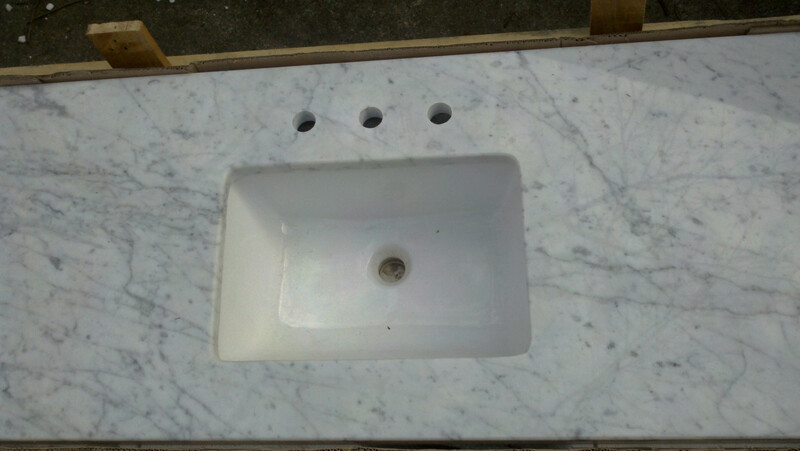 Once installed, we managed to get the HEAVY counter top on. It took all three of us to transport that counter to it’s destination! 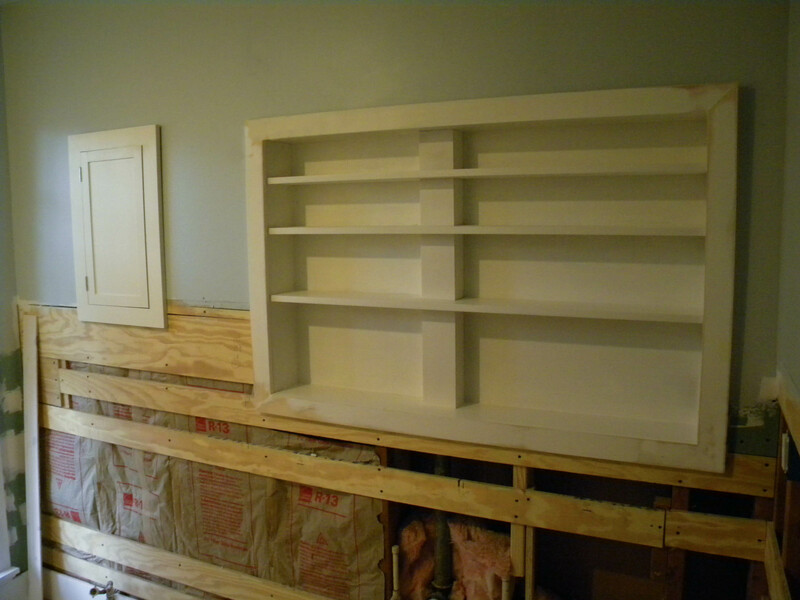 Then I added some trim to the built-in medicine cabinets, which gave it a more finished look. 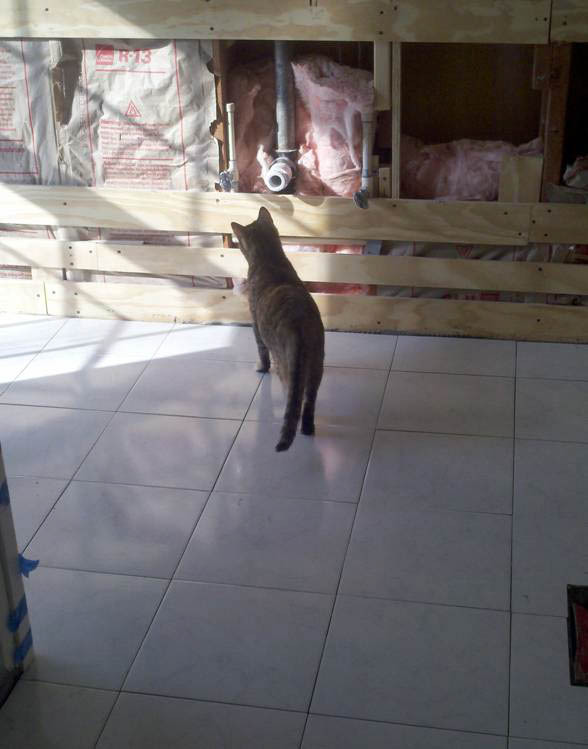 Then it was time for Norm to install the toilet, and plumb the sink in, making it a functioning bathroom. His part in this was done. However, that was back in June, and I have not done a thing since. All I lack is to finish the doors to the base cabinets. 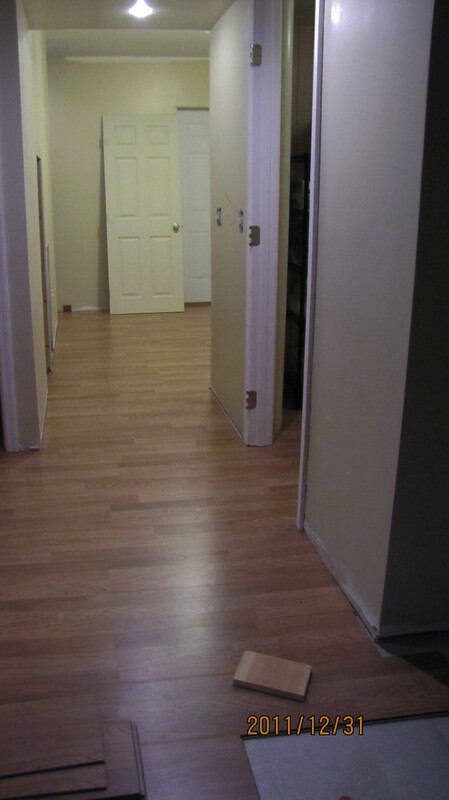 But after dealing with the inset doors on the wall cabinets, I have not looked forward to it. So, my goal is to have them done by January 1st (of 2012, not 2013). I can do this.